Tim Watts joined the family business, Pertemps, in 1970 opening a second office in Wolverhampton. Today, Tim is Lifetime President of Pertemps Network Group, the UK’s largest independently owned recruitment agency with a turnover in excess of 900m. His charitable titles have included Vice President of the Spinal Injuries Association, under the patronage of HRH The Princess Royal, and Lifetime President of Birmingham & Black Country Community Foundation. Tim is an honorary member of the Beta Gamma Sigma Society. He holds an Honorary Doctorate of Science, awarded by Aston University as well as an Honorary Doctorate awarded by Birmingham City University, both for his services to business. Tim was High Sheriff of the West Midlands in 2014/15. 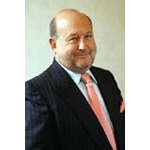 During the same year, he was named as one of the most influential leaders in the European staffing industry (Staffing Industry Analysts) and was inducted into the Recruitment International Hall of Fame.